Dressing for work can become quite tedious and the last thing you want is to be stressing on what to wear when you’re already short for time. I’ve put together some of my fav pictures that will hopefully give you some style inspiration. Just because you need to look professional, it doesn’t mean that it your style has to be plain and boring. Sometimes it can get tricky wearing a hijaab, and the easiest thing to do most of the time is to just wrap ourselves with a black hijaab. But with just a few changes, you can totally transform yourself. 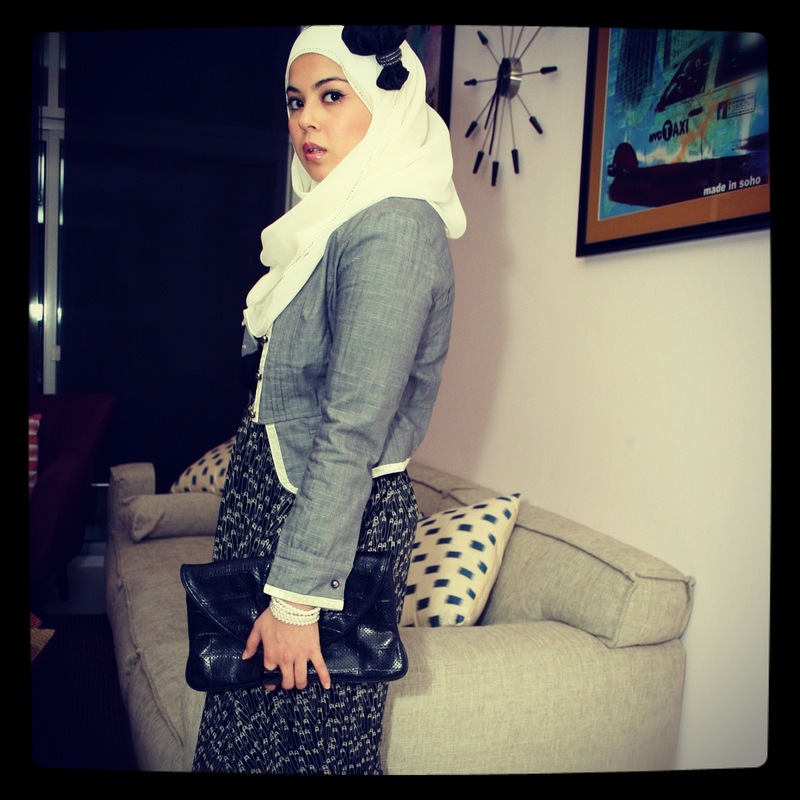 Style Hint #101 – If you prefer wearing darker colors for work, lighten up your look by wearing a contrasting hijaab. 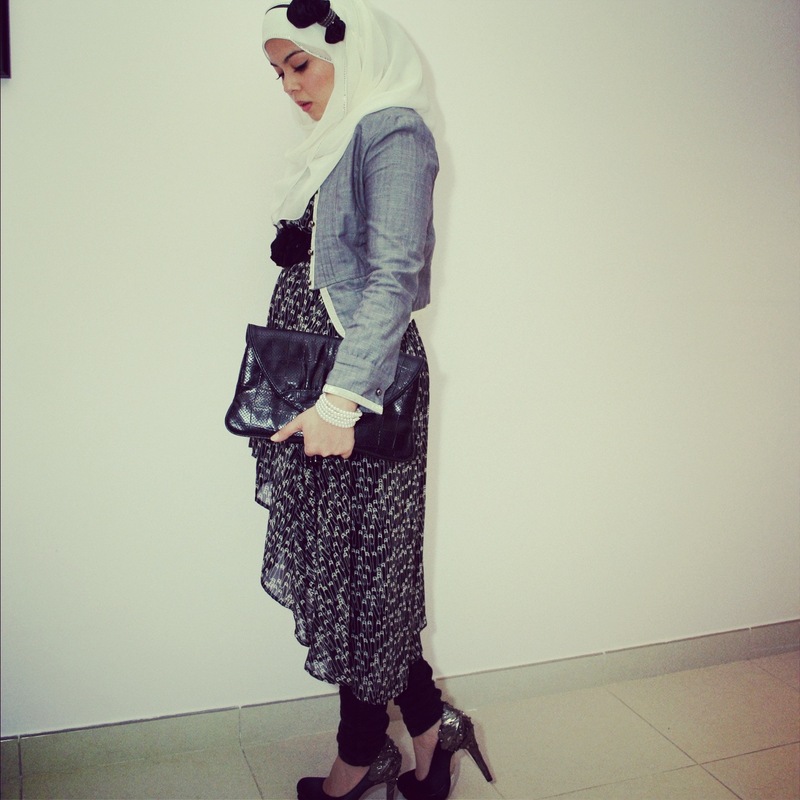 For e.g a Navy Blue dress/ ensemble looks great with a soft gray hijaab and vice versa. 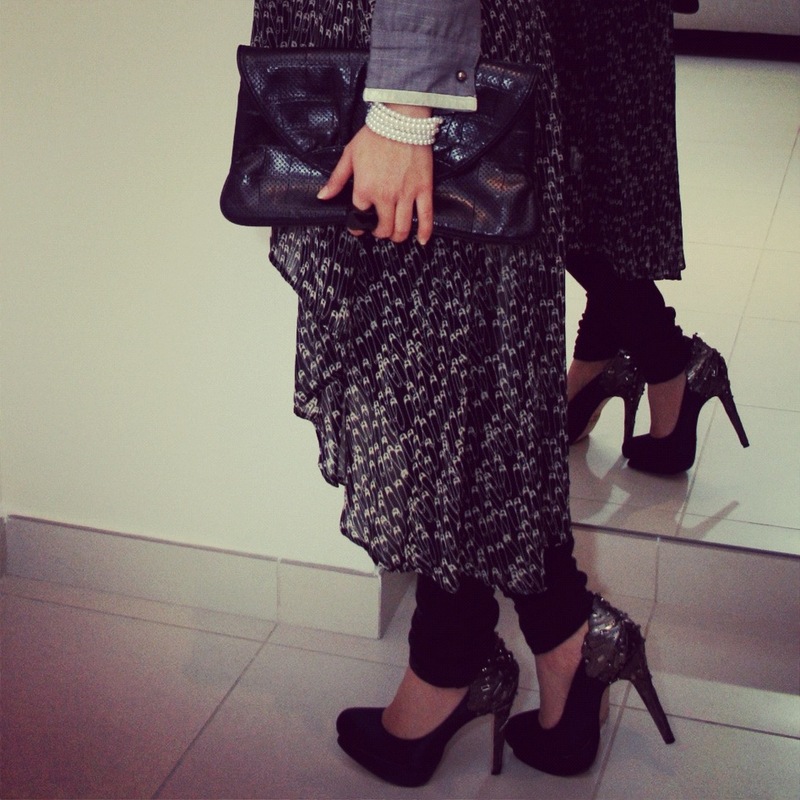 If your entire outfit is plain and monotone, by wearing a printed hijaab you instantly add some pattern to your outfit. So The Cheesecake factory finally opened up @ DXB mall over Eid, and my crazy friends and I decided to head there. Why do I call them crazy ? Well, anyone that knows Dubai, knows that any opening of any kind, Taco bell to Laduree, it doesn’t matter what it is, if it’s new, then expect madness and chaos. Believe it or not but we had a 2 and a half hour wait before we could be seated ! Yes, I know, and we still waited. Luckily, H&M was just round the corner, so one part of the problem was solved. After our little Geek VS. Mafia escapade, we finally headed back to the Cheesecake Factory. The restaurant, though extremely spacious, was completely packed. I was excited as I’ve been to the one @ Irvine, spectrum in L.A. Needless to say, even after a 2 and half hour wait, they managed to mess up my order of Jamaican chicken & shrimp, which came only with the shrimp and a 15 minute wait to get my plantains ! I guess I’ll just have to hit up the one in the States to get the real deal. 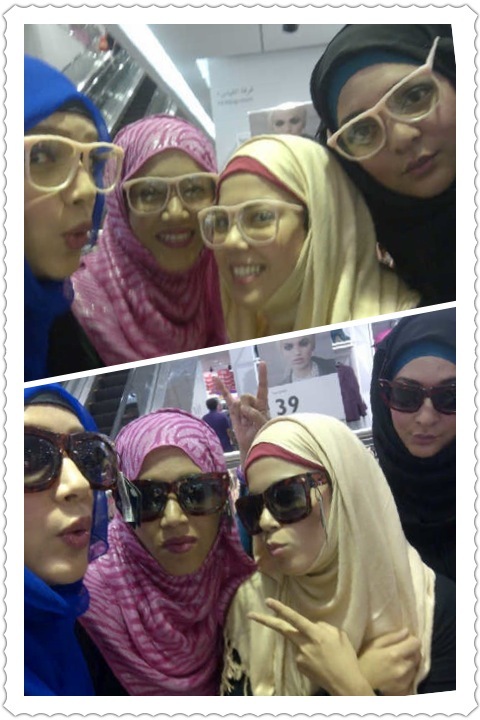 Once again I’m using a headband that I got from Korea town on my trips to NYC with a white chiffon hijaab. The dress is from the ICONIC store in DCC. ZARA also has dresses in similar styles, where it’s quite long the back but shorter in the front. The clutch is from Lauren Merkin, I bought it a few years back from Boutique 1. The pearl bracelets are from PRIMARK london, and cost around a £1 or 2 !!! What a steal !